The U.S. Senate and U.S. House of Representatives are out National Farmers Market Week, so chances are good that they’ll be available for a visit to your market. A simple invitation can put a visit to your community market on their calendar! 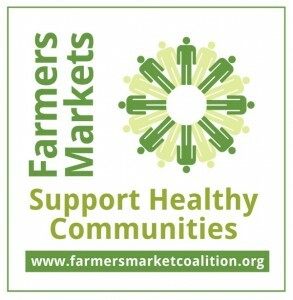 In this five part series, Gary Matteson of The Farm Credit Council and FMC Board Member explains why advocacy is important for farmers markets, and breaks down the steps towards building strong, lasting relationships with elected officials. To help farmers market supporters across the country celebrate National Farmers Market Week, the first full week of every August, we are highlighting the different ways that farmers markets are benefitting our communities! Share these facts with your whole community about how there is more to markets than meets the eye. / Preserve America’s rural livelihoods and farmland. 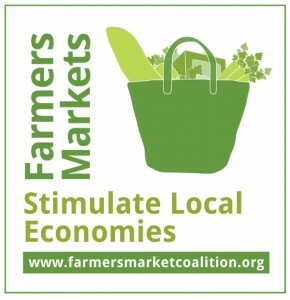 Farmers markets provide one of the only low-barrier entry points for beginning farmers, allowing them to start small, test the market, and grow their businesses. / Stimulate local economies. Growers selling locally create 13 full time farm operator jobs per $1 million in revenue earned. Those that do not sell locally create 3. 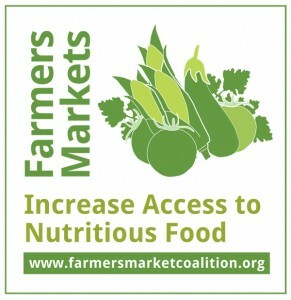 / Increase access to fresh, nutritious food. Several studies have found lower prices for conventional and organic produce at farmers markets than at supermarkets. Due to this and other factors, 52% more SNAP households shop at farmers markets and from direct marketing farmers today than in 2011. / Support healthy communities. Farmers market vendors educate their shoppers. Four out of five farmers selling at markets discuss farming practices with their customers, and three in five discuss nutrition and how to prepare food. / Promote sustainability. 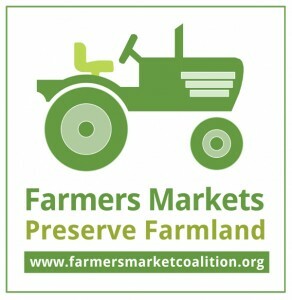 Three out of every four farmers selling at farmers markets say they use practices consistent with organic standards. For more Advocacy Tips, check out our Advocacy Toolkit!